I have been making this delicious casserole for years and I thought I had put it on my blog. My daughter went to get the recipe off the blog and it wasn’t there. So, here it is. Comfort food at its best!! Mix beef, soup, milk together in bowl and transfer to an 8 or 9-inch baking dish. 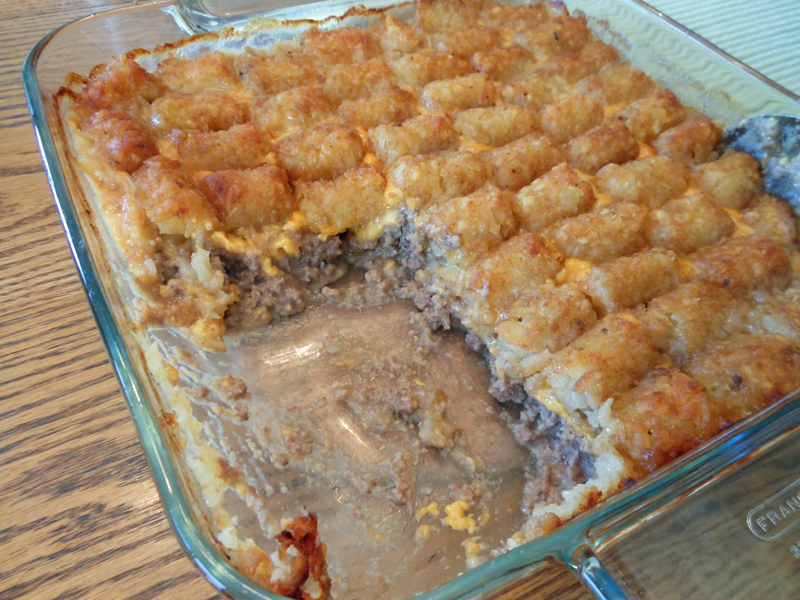 Top with cheese slices and then tater tots. Bake for 1 to 1 1/2 hours until real bubbly.